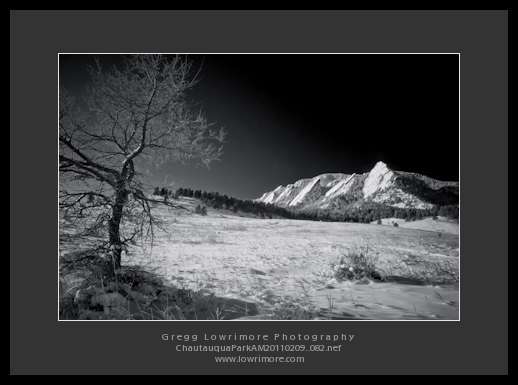 Please tell me what you think about either of these three images from Chautauqua Park. 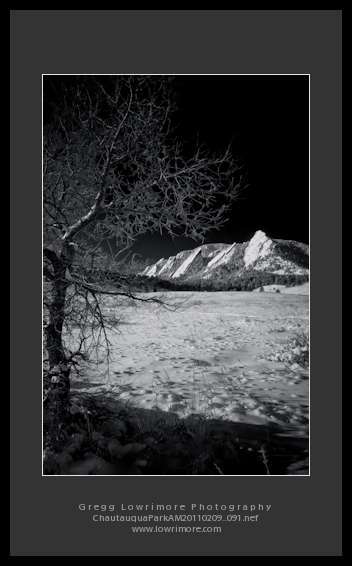 These have been converted and tweaked in Lightroom from their original color captures. Also, two images are of the same basic composition, just that one is landscape oriented, while the other is portrait oriented. 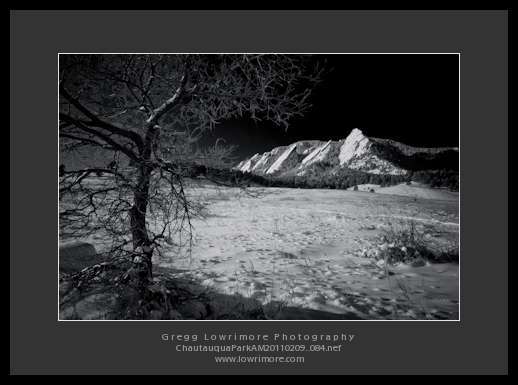 Posted in General, Landscapes and tagged B&W, chautauqua park, flatirons, monochrome, snow, tree, winter by greggl with no comments yet.